The 2014 Virginia State USBC Annual Meeting will be held on May 3, 2014 at the Holiday lnn Tanglewood, located at 4468 Starkey Rd in Roanoke, VA.
Below is a listing of the positions subject for election and the current incumbent. These positions will be for a three year term. *This position will be elected by the VA State Youth Representatives. position) you must have been on the State Board for at least one year. Two delegates and two alternates will need to be elected to attend the 2015 USBC Annual Meeting (dates/locations not available at this time). These positions would be for a one year term. 1. A USBC member in good standing of the association at the time of election and throughout their term. 2. Elected or appointed without regard to race, color, religion, gender, disability, national origin, or age, other than the minimum age of 14 (unless state laws mandate a specific age) and be reasonably representative of the membership. b. At least 20% of the Board must be represented by youth and elected by the Youth delegates and officers and directors who hold youth membership. c. A maximum of three bowling center proprietors may serve on the Board at one time. Additional eligibility requirements, if any, are to be approved by the delegates representing Adults, Youth Delegates and Board. 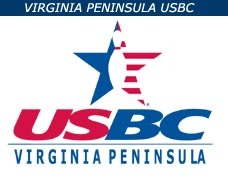 This entry was posted in VPUSBC NEWS on December 27, 2013 by Virginia Peninsula USBC. The following information is for awards given by the Virginia Peninsula USBC Bowling Association. Polo Shirts for 1st 700 series in this association, regardless of average. NOTE: All awards are limited to one award per category per season except for the 700 series shirts which are limited to one shirt per lifetime. For the 700 series, previous (HRUSBCBA, HUSBCWBA & PAUSBCY) recipients are not eligible for the 700 series award; however, they may purchase a shirt if desired. Bowlers if you roll any of the above awards be-sure to tell your Team Captain so they can advise your League Secretary or Youth Coach.  Please do not use two sided copies of the form.  Submit your awards in a timely manner. Please do not wait months before submitting.  Include your name, phone number, league name, e-mail address and bowling center name on the form.  Check the yearbook before submitting an award for a 700 series.  Check your math to ensure the bowler qualifies for a “pins over average” award.  When your league nears completion please note on the form the date the award is need by. If you have a question please call or e-mail me. E-mail to: wripley@vpusbc.com or wayneripley@cox.net. This entry was posted in VPUSBC, VPUSBC NEWS on December 4, 2013 by Virginia Peninsula USBC.